With this course, provided by Global Edulink, a respected and leading online training provider, you’re taken on an extensive journey through the anatomy and physiology of the human body starting with the cardiovascular system (the heart and vessels), through to the respiratory system (the lungs), then the nervous system (and its connection to the brain, spinal cord, eyes, ears, and memory), over to the digestive system (mouth, pancreas, small, and large intestines), the endocrine system (pancreas and thyroid, kidneys, ureters and bladder), also male and female reproductive systems, the musculoskeletal system (muscles and bones), the immune system, and finally(! ), the biology of human cancer. You’ll be in wonderment at the remarkably complex, resilient, and endlessly fascinating structure that is the human body, expounded through the use of life-sized models, detailed colour illustrations, and even video shot during surgery, and in clear, step-by-step explanations aimed at the level of the interested layperson. You’ll gain an understanding of exactly how things work and why they sometimes don’t work. 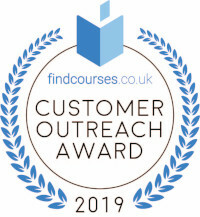 Use this course as a brilliant introduction to the medical world and gain a superb, holistic overview of anatomy and physiology from a qualified educator. Also, this could be used as a fantastic stepping stone within your medical career, or for personal knowledge. Those interested in the medical field in terms of their personal or professional outlook. There is no experience or previous qualifications required for enrolment on this course. It is available to all students, of all academic backgrounds. Having good education background will be an advantage for this. Successful candidates will be awarded a Diploma in Anatomy and Physiology of Human Body. 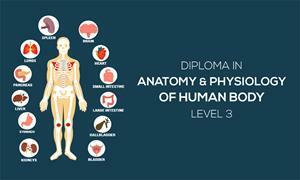 Fill out your details to find out more about Diploma in Anatomy and Physiology of Human Body – Level 3.